Where to Stay in Vienna: Advice from an expat in Vienna about the best areas to stay in Vienna, Austria! Includes guides to Vienna’s coolest neighborhoods and Vienna neighborhood maps. Start your search for the best place to stay in Vienna here! This guide was originally written in 2016 by Carly Hulls, an Australian expat living in Vienna. We’ve since done a substantial update, partnering with a local Viennese writer to add additional neighborhoods and city highlights to help you plan your trip, and adding information from our own visits to Vienna. Disclosure: Our Where to Stay in Vienna Guide contains affiliate links. That means we may earn a small commission when you use the links on this site to book a hotel, buy your travel insurance, etc. You don’t pay anything extra. In order to learn more about how this works, you can read more under our Disclaimer page. Elegant, historical and filled to the brim with cultural experiences, Vienna sits at the top of many travelers’ bucket lists. Despite this, Vienna also has a reputation as being cold, sterile, and – ahem – kind of boring. To be honest, that’s how we felt when we visited Vienna for the first time back in 2014, while we were living in Prague. As we blitzed across town to the main tourist attractions, we missed the chance to experience local life. Now that we live a 2-hour train ride from Vienna in Budapest, we’ve been back to the city several times. Honestly, Vienna has won us over. Yes, we love the historic Innere Stadt, where you’ll find the best sights, and can experience Vienna’s famous café culture at Central Café and Demel. But we also love Vienna’s neighborhoods. Neubau’s young, hip vibe, and Wieden’s multicultural and laid-back atmosphere feel a world away from the Innere Stadt. The MuseumsQuartier’s vibrant cultural scene is impossible not to love. And we’re definitely guilty of lightening our wallets along Mariahilfestraße. If you’re visiting Vienna on a short trip, Vienna 1 (Innere Stadt) is the most convenient part of the city to stay. Should you have a bit more time, there are many other areas to stay in Vienna that might suit your needs. Staying in or exploring some of these other Vienna neighborhoods will help you get off the beaten path, save bit of cash, and get a taste of local life. Indeed, your experience in Vienna will be somewhat shaped by the area you stay, so it’s worth taking the time to choose wisely. While we want this guide to answer one main question for you – where should I stay in Vienna? – we also want to help you get to know each of the Vienna neighborhoods covered. Because of this, we’ve tried to give you suggestions for your trip within each section. We hope this helps you see main Vienna highlights, while also uncovering some hidden gems. Moving to Vienna in 2012, I was convinced the city was one of the most boring in Europe – all I could see were architectural wonders and white palaces, but no spirit. Certainly no idea of what the locals actually did in this beautiful, quiet and calm city. Slowly but surely over the last 4 years of living here, the city has unveiled itself – the village-like districts, hipster hangouts and multicultural areas where real life bubbles away. I’ve fallen head over heels for this mysterious, creative, clean and slyly energetic city – and I’m not alone in the love affair. These days, Vienna is angling with Berlin & Leipzig as one of Europe’s coolest cities this side of Paris, thanks to its growing startup scene and the enviable lifestyle awards it receives year after year. When friends and family visit, I encourage them to venture beyond the first district to get a real taste for the brilliant variety of the city. This Vienna neighborhood guide will help you find the best areas to stay in Vienna and get a local’s view of the world’s most liveable city and its hidden hot spots. Understanding Vienna’s Numbering System: Which District Should You Stay in Vienna? Like all things Austrian, Vienna’s district are logically numbered, going from the 1st District right up to the 22nd. The districts spiral out from the city centre in a crooked snail-shell pattern. Vienna 1 is the city center and Vienna’s Old Town. You can quickly tell which district you’re in by looking at the postcode or looking at the street signs. The middle two numbers in each district’s postcode indicates the district number. Postcode 1140 is the 14th district, and 1050 is the 5th, for example. On street signs, the number that precedes the street name shows which Vienna district you’re in. When deciding where to stay in Vienna as a tourist, we recommend staying near a metro station (U-Bahn) or tram stop. Vienna has one of the most efficient public transport systems in Europe. If you stay within walking distance of a stop, you can connect through to most of the city within 10 or 20 minutes. On weekends, the U-Bahn runs 24 hours per day. You can always find your way home, no matter how many weiss beers or würstels you’ve had! Understanding the two main roads is also helpful. The Ringstraße Road surrounds the historical inner city (Innere Stadt – Vienna 1). The Gürtelstraße (often abbreviated simply as the Gurtel), surrounds the inner districts. The Gurtel essentially acts as a barrier between the inner and outer districts of Vienna. Put simply: the inner city sits within the Ringstraße; the inner districts sit within the Gürtelstraße; and the outer districts sit beyond the Gürtelstraße. The Innere Stadt and MuseumsQuartier are two of the best overall neighborhoods to stay in Vienna. They are also the best areas to stay in Vienna for first time visitors. ❶ Innere Stadt – Vienna’s 1st District: The heart of historic Vienna, this is where you’ll find some of the city’s most popular tourist attractions. St. Stephen’s Cathedral, the Hofburg Palace, the Spanish Riding School, the Albertina, the Opera, and Hotel Sacher are here. Find hotels in Vienna InnereStadt. ❷ MuseumsQuartier – Vienna’s 7th District: Vienna’s Museumsquartier is one of the largest cultural quarters in the world. Home to multiple museums and works by some of the world’s most notable artists, the MQ also has many restaurants and bars. It also offers ample outdoor space where Viennese meet and hang out in nice weather. Find hotels in the MuseumsQuartier and Neubau. If you’re wondering where to stay in Vienna that’s cool, consider the following Vienna districts. ❸ Neubau – Vienna’s 7th District – Galleries, industrial coffee shops, and a young and hip vibe. Stay in Neubau if you want to get a taste for indie, design-y and artsy Vienna. Find hotels in the MuseumsQuartier and Neubau. ❹ Wieden – Vienna’s 4th District – Multicultural with laid back nightlife, Wieden offers another taste of cool Vienna. It mixes hipster, hippie, designers, and students. Stay in Wieden if you are looking for an edgy and lively neighborhood in Vienna. Find hotels in Wieden. ❺ Mariahilf – Vienna’s 6th District – Mariahilf sits between Neubau and Wieden, and backs onto the MuseumsQuartier. Mariahilf is often mentioned as one of the coolest neighborhoods in Europe. Home to Mariahilferstrasse, a huge shopping high street packed with the H&M and the like, it’s got some cool local spots, too. Head to Gumpendorfstrasse to uncover the indie side of this district. Find hotels in Mariahilf. ❻ Leopoldstadt – Vienna’s 2nd District – East of the Innere Stadt and Landstrasse, the northern part of the district butts up against the city centre. Leopoldstadt is Vienna’s former Jewish district, and is now gentrified and hip. Cool cafés and a creative vibe make Leopoldstadt one of the most desirable areas in Vienna for residents. Leopoldstadt is also home to Prater, and the huge Ferris wheel! Find hotels in Leopoldstadt. ❼ Landstrasse – Vienna’s 3rd District: Landstrasse offers high-value accommodation close to the center. Consider it if you don’t mind sacrificing a little on location to preserve your budget. Landstrasse is residential and popular with families. If you’re on a budget and traveling with kids, consider Landstrasse. Find hotels in Landstrasse. ❽ Margareten – Vienna’s 5th District: Margarten is a middle class neighborhood that’s a bit bohemian. If you want to see great Art Nouveau architecture, Margareten is full of it. Margareten also has the Naschmarkt and Café Deml. Staying in “inner Margareten” – closest to the Innere Stadt – can be a great way to save on accommodation. From Kettenbrückengasse U-Bahn to Museumsplatz, it’s less than a 15-minute walk. Overall, it’s not the most inspiring of areas, unless you’re near Wieden. Find hotels in Margareten. ❾ Josefstadt – Vienna’s 8th DistrictJosefstadt isn’t a budget area, but provides better value than the nearby Innere Stadt and Neubau. Located near Vienna City Hall, it is Vienna’s smallest district. Here, you’ll find convenient, city-centre access with a quiet residential vibe. Find hotels in Josefstadt. ❿ Ottakring – Vienna’s 16th District: Ottakring is one of Vienna’s outer districts, lying beyond the Gurtel. The U-Bahn will get you to the inner city in 15 to 25 minutes, depending on where in the district you start. Traditionally an area for Turkish immigrants and working class, it’s becoming gentrified. Find hotels in Ottakring. ⓫ Rudolfsheim-Fünfhaus – Vienna’s 15th District: In years past, this district had a bad reputation for prostitution. All that has changed, and it’s now an up-and-comer that has good prices and a convenient location near the Westbahnhof. Search for hotels in this neighborhood. Vienna Where to Stay Summary: A summary of Vienna’s coolest neighborhoods and places to stay. Best Place to Stay in Vienna FAQs: Are there any bad Vienna neighborhoods to avoid? Where to Stay in Vienna for Nightlife? Where to Stay in Vienna with Kids? Where to Stay in Vienna on a Budget? Top Vienna Tours: Top rated Vienna city tours. More Where to Stay Guides: Check out more of our Where to Stay City Guides for other popular destinations from Vienna to help you plan. Vienna’s Innere Stadt is the best place to stay if you only have a few days in Vienna. Innere Stadt translates as ‘inner city’ in German and is where you’ll find Vienna’s Old Town. It’s filled with cobbled alleyways and famous churches. It’s also home to the city’s oldest restaurant, Griechenbeisl, founded in 1447. If shopping is part of your Vienna trip, Innere Stadt is home to Vienna’s high-end shopping streets. Graben, Kohlmarkt, and Kaerntnerstrasse are all worth checking out. As you might expect, the central location and convenience of the Innere Stadt comes at a price. Staying in this Vienna neighborhood isn’t the most budget friendly option. However, it’s still possible to find affordable rooms. Regardless of whether you stay in Vienna’s 1st District, you’re sure to visit the area during your trip. For fantastic views, we recommend Café Bar Bloom and the Do&Co restaurant. Who Should Stay in Vienna’s Innere Stadt? Anyone short on time in Vienna should consider staying in the Innere Stadt. Home to multiple tourist attractions and filled with history, it’s the best area to stay in Vienna for tourists overall. The district is very walkable. This makes it a good choice for families with children and those with mobility issues. If you love exploring new cities on foot, you’ll love walking around Vienna’s Innere Stadt. Night owls who want to stay somewhere with a vibrant nightlife will also appreciate Vienna 1. If you prize peace and quiet, look for a hotel set away from St Stephen’s Cathedral. While the cathedral area is beautiful, it’s also quite crowded. This area is one of Vienna’s most expensive. You’ll find plenty of luxury hotels and amenities. If you’re on a budget, look for places around Annagasse, and other streets adjacent to Kartnerstrasse. St Stephen’s Cathedral – St Stephen’s Cathedral is one of Vienna’s most famous attractions. It has been a symbol of the city for more than 700 years, and has the history to boot. Case in point: Mozart got married here! Standing sentry on Stephansplatz, you’d have to try hard to go to Vienna and not see St. Stephen’s from outside, at least. The interior is well worth a visit, however, including the tower with a fantastic view. Hofburg Palace – The Habsburg dynasty’s former palace, the imperial apartments are open to explore. Today, Austria’s president lives and works in the Palace. It is also home to several attractions, including the Spanish Riding School, Albertina, and National Library. The Spanish Riding School – The only place in the world to see the famous Lipizzaner horses dancing in a “horse ballet”. Even if you’re not a huge horse fan, it’s worth a visit to see the stunning riding hall! You can watch a performance, a training session, or tour the stables. The Albertina – The Albertina is home to an impressive art collection. Works by Dürer, Klimt, Monet, Ruben, Cézanne, Degas, Rothco, Chagall, Picasso and more are on rotating or permanent display. Austrian National Library – The Library’s State Hall is one of the most beautiful library rooms in the world. It’s also home to a Globe Museum, with both terrestrial and celestial globes on display. Vienna State Opera – Offering 40-minute guided tours for €9,00, including visits to the foyer, grand staircase, and auditorium. For tickets to performances, see their website. Volksgarten – A beautiful public park located next to the Hofburg Palace, and perfect place to take a breather. Sacher Hotel and Café – One of Vienna’s most famous luxury hotels, most visitors stop in for the eponymous chocolate cake, Sacher-Torte. The café also offers a glimpse into Vienna’s famous café culture. Julius Meinl – Without fail, we stop in here whenever we’re in Vienna. In the supermarket part, you’ll find a drool-worthy selection of delicacies, and the café upstairs is a great stop if you need a pick-me-up (Graben 19). Cafe Demel – Another one of Vienna’s famous grand cafés, Cafe Demel is a classic. Grab a pastry and a coffee, and soak in the baroque details. Plenty to do, with enough to keep you busy for your entire visit in Vienna. Loads of coffee houses, restaurants, bakeries and bars to choose from. Easy to walk around, with no need for public transit if you choose. Safe and accessible for first-time visitors to Vienna. Quite touristy: you’re unlikely to experience real modern life in Vienna. Busy, and can be noisy on main streets. More expensive than in other districts, from hotels to restaurants and shops. Pushy touts who will try to sell you tickets and tours. We stayed at Motel One Staatsoper on a recent trip to Vienna, and it was amazing! It’s a boutique-inspired 3-star that’s very affordable compared to others in the area. Just 2-minutes from the Opera House, it cost us €106 per night in December. While we opted out of the breakfast, it looked quite decent and was served in the nice little lobby cafe. The Karlsplatz metro station in a one-minute walk, with a McDonald’s, Starbucks, and a local bakery in the pedestrian underpass. When we go back to Vienna, we’ll stay there again. A 5-star luxury hotel only 250m from the Hofburg Palace and steps from Café Central. The Steigenberger is right in the heart of Old Vienna, close to the city’s most notable attractions. Beautiful, modern decor, and easy access to everywhere via Herrengasse U Bahn. Top reviews for comfort, quiet, staff, and location. Beautiful, with rooms that have the look and feel of a luxury apartment, with the convenience of a hotel. Only 2 minutes’ from St. Stephen’s Cathedral. Great reviews for luxurious touches, breakfast, and friendly staff. Don’t be put off by the lobby – take the elevator to the 2nd floor. Mixed reviews due to disparate room quality: some look gorgeous, others look straight out of the 80s. If you getting an affordable, clean and comfortable room in central Vienna is your priority, this could be a good choice. For bells and whistles, keep looking. Ask for a renovated room. In the ‘cheap and cheerful’ category, it’s on a quiet street about 10 minutes’ walk from St. Stephen’s. Easy access to the city at Schwedenplatz U-Bahn and via Trams #1 and #2. Decor is a bit tired and the hotel is basic, but it’s a great price. Figlmüller is often touted as having the best schnitzel in Vienna, but most locals avoid it as a tourist trap. Instead, make a reservation at Gasthof Pöschel. The low-key vibe and authentic Viennese food – including an excellent Wiener Schnitzel – wins the day. While it’s worth getting off the beaten path for schnitzel, stick to the beaten path for your grand Vienna café experience. There’s a reason that cafés such as Central and Demel are consistently mentioned as the best of the best! Vienna’s 7th District sits just outside the Innere Stadt and the ringroad. It’s on the other side of the Hofburg and Volksgarten park from Innere Stadt. It’s a super central location, making Vienna’s 7th District a convenient choice for anyone visiting Vienna. It’s especially convenient for those who like to get around on foot. Both the Museumsquartier (abbreviated as MQ) and the super cool Neubau district are within Vienna’s 7th district. Both are great areas to stay in Vienna. A world away from the historical old town, Vienna 7 will show you a more modern side of the city. Vienna 7 is all about getting a feel for how young, hip Viennese live. Vienna includes both the Museumsquartier and Neubau. As such, we’ve broken it down into two Vienna neighborhoods in our descriptions below! Vienna’s Museumsquartier (MQ) is perfect for a culturally-focused trip to Vienna. Anyone who wants to feel like they’re in the center of hip, modern Vienna, without being too hipster, will enjoy the MQ. Whereas Old Town Vienna takes you back to the historical city, the Museumsquartier is where you’ll find the modern city. The Museumsquartier is an urban art and culture quarter that’s home to some of Vienna’s best art museums. However, the draw goes beyond museums. It’s also home to plenty of restaurants, bars and cafés, and has ample public space outdoors. Throughout the year, Viennese gather to enjoy the space, hang out with their own food and drinks, and meet up with friends. The Museumsquartier is a convenient place to stay in Vienna. It backs right on to the ultra-hip Neubau district. 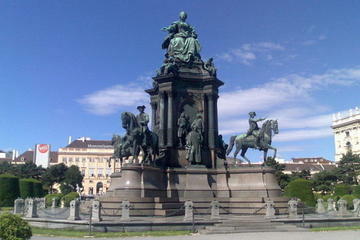 It’s also super close to the Innere Stadt, sitting just outside the ring road on the other side of the Hofburg. Who Should Stay in Vienna’s Museumsquartier? If you’re short on time in Vienna, but don’t want to stay in the historical old town, the Museumsquartier is a good bet. It’s also a great area of town for those who love a cool urban vibe, and want to be in the center of it. If you’re travelling with young kids all the way up to teenagers, the Museumsquartier is a good choice. The actual cultural complex is pedestrianized, so you don’t have to worry about a zooming toddler or pre-teens who want a bit of independence. Art History Museum – The Hapsburgs were big on collecting art, and built what is now the Art History Museum to house their collection. Highlights include works by Vermeer, a Raphael, Velazquez, Rubens and Rembrandt. The museum also has a stunning café you can only access if you have a museum ticket. Leopold Museum – The most-visited museum in the MQ, this is where you’ll see many Egon Schiele pieces. Gustav Klimt’s “Death and Life” is also here (The Kiss is at the Belvedere Palace). mumok Museum of Modern Art – Home to 20th and 21st century pieces like Warhol, Yoko Ono, and Marcel Duchamp. There’s a collection of Austrian avant-garde, as well as a few classical modern pieces by Picasso and Mondrian. Zoom Children’s Museum – Focused on interactive and sensory activities, the museum is suitable from around 8 months to 14 years or so. MQ Point – This is for anyone (like me) who has a serious love affair with museum and gallery gift shops. Super central location for getting around Vienna on foot or by public transit. Loads of restaurants and bars to choose from. Pedestrianized within the MQ proper, making it easy to walk and great for families with toddlers. Very safe and accessible for first-time visitors to Vienna. Can be noisy in the evenings, so worth researching your hotel choice in advance. This is a 5-star luxury boutique hotel opposite Vienna’s Museums Quartier. The stand-out feature of this hotel is the beautiful indoor pool with chandeliers! The rest of the hotel is no slouch, with the rooms having the feel of a bright and airy contemporary apartment. Features include a spa, sauna, steam bath and fitness center. There’s a bar and restaurant with good reviews, a pillow menu, and design touches. This place oozes a funky-cool atmosphere. It offers bright, quirky decor and colors, a rooftop bar with gorgeous views over Vienna, live or DJ music in the evenings. The overall atmosphere is ‘young and artistic.’ Each room is unique, although the circus theme may not work for those with clown phobias. On-site spa and Italian restaurant. Vienna’s outstanding museums are a highlight of any visit to the city. Unfortunately, all those entrance fees can add up, quickly eating into your schnitzel budget. The Vienna Pass is a good option if you plan on visiting a lot of attractions. It provides free entry into more than 60 of Vienna’s most visited attractions. The pass includes the Schönbrunn Palace, Spanish Riding School, the Albertina, the Leopold Museum, the Hofburg, mumok, the Belvedere, and more. Additionally, it offers free Hop-On-Hop-Off transportation around the city. Starting at €59, it’s fairly easy to get more than the cost of the card in value if you plan on hitting up a few attractions. Check prices and buy the pass here. There are a handful of really cool areas to stay in Vienna, the best of which is the über-hip 7th district (Neubau). Neubau is full of unique art galleries, industrial third-wave coffee shops, and delicious brunch haunts. All of this backs onto the lively MuseumsQuartier. Location plus amenities makes Neubau the perfect base to discover Vienna’s urban heart. Neubau is where Vienna’s hip young designers, artists and indie store owners hang out. Join them sipping espressos on Figar’s much-loved terrace, or slurping noodles at Sapa. Neubau also backs onto Mariahilferstrasse shopping street in the 6th district. There’s always something happening in Neubau. This makes it a top choice for anyone who wants to stay in one of Vienna’s cool areas. Multiple transport options and plenty of beautiful ‘altbau’ holiday apartments make it a great base. Who Should Stay in Neubau Vienna? Neubau is fairly small, and has plenty of Viennese living in the district. As such, it’s got a community vibe that travelers are liable fall in love with. If you want to stay in a hip neighborhood with a true community feel, Neubau is for you. Foodies will enjoy Neubau, because it has an incredible range of spots to eat and drink. Likewise, creative types will love the vibrant cultural and design feel. Generally, Neubau is the best choice it you want to be in the coolest area to stay in Vienna. If you want quiet accommodation, hotels backing onto Mariahilferstraße might be louder than other spots. Check that rooms are soundproofed or courtyard-facing. Same goes for Lerchenfelder Gürtel, Lerchenfelder Str, and Neubaugürtel. Rooms might be a bit louder around here. MuseumsQuartier – The MuseumsQuartier (MQ) is the city’s vibrant cultural anchor. While not technically in Neubau, the neighborhood backs right onto it. MQ is comprised of several art museums and a variety of restaurants and cafés. You can also bring your own food and drink to the area, and enjoy hanging out in the vibrant outdoor space. Buchhandlung Walther König GmbH & Co KG is a great bookstore for a wander. Mariahilfestraße – Another “not technically in Neubau” thing to do in the area is stroll along Mariahilfestraße. It’s one of the best shopping high streets in Vienna. It’s mostly pedestrianized, making it a relaxing spot to stroll even if you don’t plan on shopping. Burggasse24 – For great vintage fashion finds. We Bandits – Selling Korean and Scandinavian fashion, We Bandits has a carefully curated selection of fashion brands, many of which you can’t find elsewhere in Europe. Bukowski – If you’re in search of something with a bohemian vibe, and don’t mind cigarette smoke, check out Bukowski pub. It’s open from 3pm to 6am, and has an atmosphere that’s easy to love. Amerlingbeisl – Amerlingbeisl (Amerling Tavern) on Stift gasse has a lovely garden in nice weather. They serve up excellent Viennese dishes, including a great schnitzel. It’s a great choice in summer or winter. Cultural melting pot with plenty of diversity in food, thinking, and people. Incredible selection of restaurants, bars, and coffee shops, with great supermarkets as well. Accessible on foot and easy to access the city center by walking. It’s about a 30-minute walk to St. Stephen’s Cathedral and 20-minute walk to the Hofburg. The neighborhood itself is also great for exploring on foot. Plenty of shopping, with emerging designers and brands and easy-access to Mariahilfestraße shopping high street. Close to the vibrant MuseumsQuartier, making it the perfect base for exploring Vienna’s cultural institutions. There aren’t a lot of parks in the neighborhood, with 2 small parks. If you’re travelling with young kids, you might want to stay somewhere with more green space. Housed in the renovated remains of a former department store, Ruby Marie offers bright and airy rooms with vintage furniture. Cool extras like on-site guitar rental and bike rentals, and a radio station on the premises, add to the vibe. Every room has a tablet to use, and there’s both a rooftop bar and a lobby bar to relax in. The Museums Quarter is 10 minutes’ walk away, and there’s an U-Bahn less than 100m away. Fun & stylish! Beautiful rooms in a hip area, there’s not much not to like about this place. It’s located in a renovated historic building 5 minutes’ walk from the Museum Quarter and Volkstheater metro. There’s an afternoon tea service, and on-site bar. There’s also a fashion rental service featuring a local designer! All of this within a trendy area with great restaurants. Stylish and hip, this hotel gets high marks for design, staff, & location! For a relaxed dinner full of Austrian favorites, head to Gastwirtschaft Wratschko (Neustiftgasse 51). It’s not touristy, but it is super cozy, with lots of wood and a warm ambience. Expect lots of meat! If you’re done with Schnitzel, try the Fleischlaberl (meatballs). Fashion labels next to vegan supermarkets. Antique furniture shops next to edgy pubs. That’s Wieden. Wieden is Vienna’s original hipster district. It’s a fun and edgy option for travelers who want a slice of real Viennese life. The heart of the city is just around the corner. Expect to find outstanding architecture, great pubs and chic little design boutiques. Because of the sheer density of gems in Wieden, this Vienna neighborhood is best enjoyed on foot! Wieden is a bit of a cultural melting pot. The multicultural Naschmarkt and Vienna’s mini Chinatown are two highlights of the area. Wieden is also home to a University of Vienna campus, creating a young and creative energy. Staying here, you’ll also have easy access to the Vienna Museum, which has a substantial art collection. Expect street markets and live music, clubs and LGBT bars. Along Schönbrunnerstrasse, you’ll find a fairly laid-back approach to nightlife. Hop your way between the restaurants, hipster cafes and boutique along the street! Who Should Stay in Wieden? Wieden is easy to navigate and well located. With a hip vibe that’s still quite comfortable, Wieden is a great choice for anyone who wants to be in the city center, but away from the most touristy parts. If you choose Wieden as the best place to stay in Vienna, you’ll feel like home in no time. Travelers who want to stay in a hip urban area, and those looking for a local neighborhood feel that’s close to the center, will like Wieden. If you want a lot of green space or total peace and quiet, Wieden will probably feel too urban for you. Stick to the Schönbrunnerstrasse / Naschmarket area of the district if you’re looking for a hipster vibe. Kalskirche – The Baroque Charles Church is one of the most important churches in Vienna. Important since the heyday of the Austrian Empire, the church hosts a lovely Christmas Market and other seasonal events. If you love European churches or Baroque architecture, don’t miss stopping here. Chimney Sweep Museum – If you want to add something a bit quirky to your Vienna itinerary, visit the Chimney Sweep Museum. The museum covers the story of – you guessed it – chimney sweeping in Vienna. See old equipment and documents, and learn about the role of chimney sweeps in Viennese culture. Be sure to time your visit, though. It’s only open 10am to noon on Sundays. Schleifmühlgasse – Schleifmühlgasse is a lovely street for a stroll. You’ll find galleries, cafés and restaurants, and a generally relaxed vibe here. Perfect for getting a feel for the neighborhood. Naschmarkt – The Naschmarkt is a foodie Mecca. It offers everything from fresh fruit, artisan cheeses, Austrian pastries, and more. With over 100 food stalls and restaurants, you’re unlikely to go hungry here. Margaretenstraße and Schleifmühlgasse – Margaretenstraße has a few interesting shops worth checking out. Wolfensson Archive (Margaretenstraße 52) and UNIKATESSEN CONCEPT STORE (Margaretenstraße 45) offer unique designs. Secondhand Fashion Monica Arens (Margaretenstraße 10) has a great selection of second hand. Not far away, on Schleifmühlgasse is home to the shop gabarage upcycling design (Schleifmühlgasse 6). It’s a good option for smart design that’s ecologically friendly. An abundance of cultural landmarks within the neighborhood, or nearby. Excellent cafés, restaurants and pubs to choose from. Safe and comfortable, with a true “living like a local” vibe. Highly walkable, both within the district and in terms of accessing the city center. Touristy around the Naschmarkt throughout the year. Busy and urban, which means it can be loud. A ‘non-hotel,’ this place offers de-centralized suites spread throughout the neighborhood. Each is located in former workshops and stores. The unique decorations in each point to the rooms’ former lives! Every suite has a Nespresso machine. A small and funky family-run hotel, each of the 12 rooms is unique and carefully decorated. Offering design touches for those on a budget, this place has the feel of a B&B, rather than a hotel. Cozy and different! If you only have time to visit one of Vienna’s gorgeous grand cafés, Café Sperl is a good bet (The Demel and Café Central in Innere Stadt are also great choices). Located right by the Naschmarkt, a trip here is sure to bring out your inner philosopher, tortured artist, or writer! Mariahilf sits between Neubau and Wieden, and seems to benefit from its location. Not to be outshone by its neighbors, it often appears in “coolest neighborhoods in Europe” lists itself! Its eastern border backing onto the MuseumsQuartier. The district has a mix of mainstream and indie. Mariahilferstrasse is a huge shopping high street packed with global brands like H&M. For something cooler, head to Gumpendorfstrasse, south of Mariahilferstrasse. Gumpendorfstrasse is full of cool bars, restaurants, and shops and galleries. Check out If Dogs Run Free for drinks and Mi Barrio for a Latin-American-inspired dinner. Who Should Stay in Mariahilf? If you’re a first-time visitor to Vienna, consider staying along the district’s eastern border, near the Museum Quarter. You’ll have quick access to the buzzing cultural quarter and be able to get to the Innere Stadt easily. It’s about a 30 minute walk or less than 10 minutes on the U-Bahn to Vienna Old Town. Travelers who want to stay in the city center, but away from the most touristy areas, should consider staying in Mariahilf. With a mix of mainstream culture (along Mariahilferstrasse) and Vienna’s hip side (along Gumpendorfstrasse), the area is great for any type of traveler. If you’re not keen to test out Vienna’s world-class transportation, you probably want to avoid this area. While it is walkable to the historical city center (Innere Stadt), chances are you’ll still need to use the U-Bahn or trams a few times if you stay here. While you may think you’ll save some money by staying a bit outside the Innere Stadt, think again: Mariahilf hotels are about the same in terms of price. Thus, Mariahilf isn’t a great area to look if you’re on a budget in Vienna. Cafe Jelenik – One of Vienna’s old-school cafés, it has a bit of a “coffee at your grandma’s house” vibe. Certainly not the grandest of places, and pretty much the polar opposite of a hipster coffee bar, but pure Vienna nonetheless. Café Sperl – Historic and classic, Café Sperl gets fewer tourists than some of Vienna’s other classic coffee houses. House of the Sea (Aquarium) – Housed in a former Nazi anti-aircraft flak tower, head to the roof for views. On weekends and school holidays, expect it to be busy with families. The Naschmarkt – Located in the south-easter area of the district. For more information, see the Wieden neighborhood section. VINTAGERIE – If you love 20th century modernism, be sure to stop in to this furniture and interiors shop. It looks like a garage sale for mid-century modern. Disco Volante – Despite what you’d expect from the name, this is a pizza spot along Gumendorferstrasse, not a nightclub. The pizza oven looks like a giant disco ball. Das Phil – Part bookstore, part cafe, part shop. Phil is a cozy spot for a drink, meal, or a little shopping. Close enough to the Innere Stadt and Museum Quarter to walk, with connections throughout the city via public transport. Plenty of cafés, bars, and restaurants. A busy shopping area with plenty to buy or browse. Hip pockets with an urban feel. Densely populated and busy, and may be noisy around Mariahilferstrasse. If you want to head out for cocktails, Mariahilf has a great selection of spots to choose from. If Dogs Run Free is always a good choice, and offer both classics and creative drinks (like the Most Unusual Gin and Tonic). Leopoldstadt is Vienna’s former Jewish district. In recent years, it’s experienced a revival with the Jewish community moving back into the area. At the same time, Leopoldstadt has become increasingly gentrified and hip. It’s home to many young and middle age creatives. The cool cafés, creative vibe, and convenient location make Leopoldstadt one of the most desirable areas in Vienna. While you’ll have to take the U-Bahn if you stay here, you’ll also enjoy cheaper accommodation compared to the Innere Stadt. Who Should Stay in Leopoldstadt? Consider staying in Leopoldstadt if you’re okay relying on Vienna’s excellent public transportation. A popular residential area for Vienna’s creative class, Leopoldstadt sits outside the center. That said, it offers a hip, urban vibe at a relaxed residential pace. Anyone who wants to be near green space is likely to appreciate the area’s two parks. The uber-green Donauinsel (island within the Danube) is also within this district. The areas around Schwedenplatz, Nestroyplatz, and Taborstrasse U-Bahn stations are best for tourists. Prater – The Prater is best known to tourists for being home to Riesenrad Ferris Wheel. It’s massive and offers great views of Vienna, but neither of those are its claim to fame. The Riesenrad is in fact the oldest operating Ferris wheel in the world! Besides the wheel, The Prater is a huge amusement park, with lovely green space along the Hauptallee. Karmeliter Market – A local market that will give you a glimpse of local life, as the neighborhood’s residents pick up their meat and veg. Augarten – Located near Taborstrasse, the Augarten has a lovely Baroque garden, and some cafés and restaurants to stop-in at as well. Donaukanal – This is a warm weather seasonal treat, but it’s an awesome area to stop if you’re in Vienna in the summer. This is the Danube-canal-side beach bar area. Many of the bars have sand and beach chairs, Berlin style. The whole areas has a gritty but hip vibe to it, with graffiti / street art and. Check out Flex, Strandbar Herrmann, Tel Aviv Beach. Donauinsel – An island within the Danube, that serves as a city park great for getting away from the hustle and bustle of the city. Plenty of green space, with both Prater, Augarten and Donauinsel located in the district. Well-connected by public transit, with U-Bahn connections to the U1, U2, and U4. Residential area perfect for glimpsing a slice of local life among creative Wieners. You’ll need to rely on public transit to get into the city center and Museum Quarter. The Karmelitermarkt is liveliest on Saturday mornings, so if you can, time your visit. Vienna’s Third District (Landstrasse) has a lot to love. To start, it offers a central location to stay in Vienna at a better price than the first district. While it’s lacking the character that some of Vienna’s cooler districts have, it makes up for it in value. You’ll find plenty of baroque embassies and beautiful architecture in the third. It’s home to the Hundertwasserhaus, one of Vienna’s most photographed architectural gems. The lovely Botanical Gardens are also here. This area is one of the best connected Vienna neighborhoods. The direct express train from Vienna airport stops at Landstrasse station. This makes it super convenient if you’re flying in or out. Further, staying in the third means you’ll be within walking distance of Vienna’s main sights. If you stay here, you’ll find there are plenty of bakeries, cafés and restaurants to enjoy. Be sure to drop into the Josephbrot vom Pheinstein café for the best bread of your life. They have a delicious brunch, too. The Rochus Markt (market) is in the third, and the riverfront (Donaukanal) has a lively beach bar scene. Who Should Stay in Vienna Landstrasse? Landstraße is unpretentious and friendly. Overall, it feels more relaxed than the nearby First District, but it’s still convenient. You can walk from the inner part of Landstrasse to St Stephen’s Cathedral in about 12 minutes. Families, solo travelers, and couples can all find something to like about the third. It’s a nice neighborhood for history, architecture, shopping and cafes. If you want to stay in a local neighborhood, consider Landstrasse. However, if you’re looking for vibrant nightlife, Landstraße might disappoint. Hundertwasserhaus – The Hundertwasserhaus is one of Vienna’s most photographed buildings. With an expressionist facade you’ll either love or hate, it looks like something out of Dr. Seuss’ imagination. In addition to viewing the outside of the building, you can walk around the Hundertwasser Village, full of workshops and stores. Kunst Haus Wien – Kunst Haus Wien is just 5 minutes from Hundertwasserhaus on foot. If Vienna’s contemporary art scene is of interest, be sure to stop in: it’s open every day of the year. Belvedere Palace – Sandwiched between the southern parts of Wieden and Lanstrasse, the Belvedere is another Vienna must-see. The Belvedere is actually two Rococo palaces, plus an orangery and stables. Rochusmarkt – Rochus Market is the place to taste and buy high-quality cheese, wine, bread, and other treats in Landstrasse. Built around Rochusplatz, this area been home to a trading market since 1192 BC! Radetzkyplatz – Radetzkyplatz is one of several spots to relax in Landstraße. There are plenty of cafés in the area, which is trendy among locals and has spots to match any budget. In the winter, find a spot to snuggle up. In summer, enjoy late nights on the many terraces. Wien Mitte The Mall – Landstrasse is also home to Wien Mitte shopping mall if you want to do some shopping. It’s also the starting point for the CAT (City Airport Train) and other metro lines, making it convenient. The Stadt Park – The Stadt Park stretches between the First District (Innere Stadt) and Landstrasse, and is the largest park in the city center. Excellent access to public transportation, making it convenient for getting around Vienna. Less walkable than some other Vienna neighborhoods, so be sure to choose accomodation near a metro station. Located right by City Park and the river. This hotel is 15-minutes’ walk to St. Stephen’s or a quick ride from Wien-Mitte/Landstraße U-Bahn. Very easy access to the airport via the airport train, which stops 50m from the hotel. The most common complaint is that the rooms are in need of a bit of refresh and update. Overall this is a comfortable and convenient choice. This is a relatively new hotel that’s rated as one of the best value hotels in Vienna. Big clean rooms look fresh and contemporary. There is a small gym and sauna. And there’s a tram right outside if you don’t feel like walking 15 minutes to the center. Close to the Belvedere Palace, this looks like a fantastic option. Those who want to taste Vienna’s famous sausages should hit up the sausage stand Zum Kleinen Sacher on Fasangasse 3. They offer seven different types of sausages, and are conveniently located before or after a visit to the Belvedere Palace. Margarten is a middle class neighborhood. It has a reputation for being a bit bobo, which is Vienna slang for bohemian bourgeoises. If you love (or want to see) some great Jugendstil (Art Nouveau) architecture, this is a great area to do it. Margareten is also home to the Naschmarkt and Café Deml (Both attractions are covered in the Wieden neighborhood section). Staying in Margareten is a great way to save on accomodation without sacrificing convenience. From Pilgramgasse to Museumsplatz, it’s about a 20-minute walk. The U-Bahn takes less than 15 minutes. Overall, it’s not the most inspiring of areas, except around Margaretenplatz/Schlossquadrat. This part of the neighborhood has good dining options and a few boutiques. It’s also close to both Wieden and Mariahilf. That said, it’s a well-connected inner district, and a good option if you’re on a budget. Who Should Stay in Vienna Margareten? Travelers who are on a budget should consider Margareten. You’ll need to use public transit if you stay here, so it’s worth considering your comfort level with that. Expect mostly a working class vibe, except around Margaretenplatz/Schlossquadrat, which is bobo. The Filmcasino – An indie cinema. Schlossquadrat – An unmistakable building that now houses a few restaurants. Siebenbrunnenplatz – An interesting area of the neighborhood that has remained fairly unchanged for decades. It gives you a window into Vienna of the mid 20th century. Margareten hof buidling – Another landmark building within the area. Well-connected, and even walkable to the Innere Stadt if you stay close to the river. Nothing particularly notable or interesting for the average tourist. Josefstadt is one of Vienna’s smallest neighborhoods, which makes it kind of charming. It butts up against Neubau to the south, and gets a little bit of “hipster spillover” without the prices. Running west of city hall, it’s also convenient to the Volksgarten, Hofburg, and MuseumsQuartiers. Josefstadt has more of local residential vibe than Neubau. Overall, it’s a cute and quaint little district that’s pretty darn convenient. And because it’s not an it neighborhood, it’s also a bit cheaper. Who Should Stay in Vienna Josefstadt? Josefstadt has great proximity to the city center and MuseumsQuartier. Add to that, it has some “coolness spillover” from Neubau. Finally, it offers all of this at lower prices than the other three districts. As a residential neighborhood, you’re also likely to get some insight into day-to-day life in Vienna by staying here. City Hall / Vienna Rathaus – An impressive neo-Gothic building, the City Hall sits just outside the Innere Stadt. Central and easy access to the Innere Stadt and Museum Quarter. Convenient for accessing many tourist attractions. Accomodation is a bit cheaper than Vienna’s most popular neighborhoods for tourists. Not as many options for food, coffee, and cocktails as its neighboring areas. Ottakring is a traditionally immigrant and working class area in the midst of gentrification. Whether its considered a nice place to stay in Vienna depends on who you ask. Answers range from underestimated to horrible to hip and awesome. So take what we’ve written with a grain of salt. For the average tourist, Ottakring is probably a bit too far from the center and most tourist attractions to be a convenient choice. Indeed, it’s definitely not the most obvious Vienna neighborhood to stay in as a tourist. if you’re more interested in seeing Vienna like a local, and don’t mind jumping on public transit, then Ottakring can be a good choice. Ottakring stretches west from the Gurtel. Near the Gurtel, the Brunnenmarkt is a great market, and nearby Yppenplatz has plenty of food and coffee options. Who Should Stay in Ottakring? Ottakring will most likely appeal to younger travelers on a budget. In off season, it’s possible to find a four-star hotel for as little as $60 US per night, which is pretty unheard of in Vienna. Brunnenmarkt – Another huge market like the Naschmarkt, but with fewer tourists and a more local vibe. Ottakringer Brauerei – Ottakringer beer is a Vienna institution, brewing since 1838. The brewery is open for tours (this needs to be planned in advance), and also serves as an venue for festivals and events. Well connected to public transportation via the U-Bahn. Not a huge choice of hotels to pick from. Far away from the center and most tourist attractions. Ottakring actually has some wine-producing land within its district. If you head to Heuriger 10er Marie at Ottakringer Str. 222-224 you can enjoy wine produced in the neighborhood! A Heuriger is a wine tavern, BTW, and usually attracts an older Viennese crowd, but you’ll be welcome whatever your age. Another outer district that lies beyond Vienna’s Gurtel, Rudolfsheim-Fünfhaus is well connected via public transit. If you want to see Vienna in a state of rapid change, this is the place to do it. In particular, the south of the district behind the Westbahnhof is a cool spot. Felberstraße used to be a notorious district for prostitution. It’s since cleaned itself up, transforming this district from derelict to up-and-comer. The vibe today is multicultural and young. Creatives and students choose Rudolfsheim-Fünfhaus for its still-cheap rents. And new, young businesses are popping up. It’s still got a long way to go before it’s considered hipster, but worth checking out for sure! Who Should Stay in Rudolfsheim-Fünfhaus? Like Ottakring, the 15th will likely appeal mostly to travellers on a budget. Consider the eastern end of Märzstrasse and bits of Mariahilferstrasse near the Westbahnhof. More affordable than inner districts. Conveniently located near the Westbahnhof, which is great if this is your point of arrival or departure from Vienna. Not a huge selection of accomodation, although there are plenty of hotels just over the border in Mariahilf that give good access to this area. Schutzhaus Zukunft auf der Schmelz has a great beer garden, if you’re in Vienna during warm weather. So … What is the Best Area to Stay in Vienna? If you only have a few days in Vienna or you’re a first-time visitor to the city, stay in Vienna’s InnereStadt or the MuseumsQuartier. Neubau, Wieden, Mariahilf, and Leopoldstadt are Vienna’s coolest neighborhoods, and Landstrasse, Margareten, Josefstadt, Ottakring, and Rudolfsheim-Fünfhaus are worth considering if you’re on a budget or looking for good value. InnereStadt – Vienna’s InnereStadt is the best area to stay in Vienna for sightseeing and first-time visits to Vienna. It’s where you’ll find Vienna Old Town, and is touristy but central. If you only have one to several days to explore Vienna, staying in the InnereStadt means you’ll be well-located to hit up the main sights, and can spend much of your time exploring on foot. Vienna’s Old Town is generally quite upmarket, so you will need to pony up if you want to stay here: accommodation and restaurants will be more expensive than other parts of the city. MuseumsQuartier – The MuseumsQuartier is the best area to stay in Vienna for cultural travelers looking to visit museums and take in Vienna’s impressive art collections. Some of Vienna’s best museums and art collections are in the MuseumsQuartier, but you’ll also find some bars and restaurants, and plenty of outdoor space Viennese use to meet friends and hang out. The MuseumsQuartier is also a great choice for young families, as it’s super central and has plenty of pedestrianized areas. Neubau – Neubau is the best area to stay in Vienna if you’re looking for a hip and artsy vibe, and you’re not on a budget. Think third-wave, hipster coffee shops and indie shops. Neubau is also very convenient – it’s adjacent to the MuseumsQuartier and is well connected to other areas by foot or metro. Finally, Neubau is one of the best areas to stay in Vienna for nightlife. Wieden – Stay in Wieden if you want to be in a cool Vienna neighborhood that’s a bit more relaxed than Neubau. Compared to Neubau, Wieden has more of a multicultural vibe, and has more students. Mariahilf – Mariahilf is the best neighborhood to stay in Vienna for shopping. Mariahilferstrasse is packed with global high-street brands, along with a few cool finds you’re unlikely to spot outside of Europe or Austria. A few blocks off of Mariahilferstrasse, you’ll find more of an indie scene, making Mariahilf another cool Vienna neighborhood to consider. Leopoldstadt – In the summer, Leopoldstadt is the best area to stay in Vienna for nightlife, as it’s home to the Donaukanal canal-side beach bars. Gritty but hip, the beach bars are a fun spot to party in warm weather. Landstrasse – Landstrasse is the best Vienna neighborhood to stay in if you’re on a budget, either as a solo traveler, as a couple or group of friends, or if you’re traveling with kids. Landstrasse is also a great Vienna district to stay if you love beautiful architecture – there’s plenty to see here! Margareten – The area around Margaretenplatz/Schlossquadrat is considered one of Vienna’s bobo neighborhoods, and is a good option if you want to be well-connected without paying city center prices. This area of the district is also close to Wieden and Mariahilf, giving you easy access to some of Vienna’s cool neighborhoods. Josefstadt – Josefstadt isn’t the cheapest neighborhood to stay in Vienna, but it provides great value, offering cheaper accommodation than nearby InnereStadt and Neubau, while still being super central. If you want to stay in the city centre near all the action, but don’t mind a quieter neighborhood, and appreciate high-value accommodation, Josephstadt could be a great option. Ottakring – Outside the Gurtel ring road, consider staying in Ottakring if you’re on a budget and don’t mind taking public transit. Ruldofsheim-Fünfhaus – The area near the Westbahnhof in particular has gotten cooler over the years, and this is now considered one of Vienna’s up and coming areas. If you’re on a budget and want to see a part of Vienna that’s still transforming, this is a good choice. It’s also convenient if you’re arriving or departing by train via the Westbahnhof. Are there Any Vienna Neighborhoods to Avoid? Favoriten, Simmering & Meidling – Vienna’s 10th, 11th and 12th Districts: Favoriten and Simmering are generally considered Vienna’s rougher neighborhoods. These days, that’s debatable, but Vienna has so much to offer, there’s really no reason to consider these neighborhoods for your holiday. Meidling isn’t really worth avoiding, but there’s nothing to really draw you there, either. Where is the Best Area to Stay in Vienna for Nightlife? MuseumsQuartier, Mariahilf-Neubau & Leopoldstadt : Vienna nightlife is generally pretty spread out in Vienna. Whereas in some European cities you’ll find distinct bar districts (like in Budapest, for example), in Vienna you’ll find pockets throughout a few areas of the city. Generally speaking, MuseumsQuartier, Mariahilf, Neubau and Leopoldstadt are the beast areas to stay in Vienna for nightlife. MuseumsQuartier – The MuseumsQuartier itself has a fairly vibrant nightlife, with many Viennese bringing their own food and drinks to hang out with friends in the outdoor space when the weather is warm enough and dry enough. In and around Karlsplatz, you’ll find Club U, Sass, Donau Techno, and Opera Club. For a more low-key experience over cocktails, try Puff or Kruger’s American Bar. Neubau – If you’re looking for nightlife that’s more cocktails and a chat than dance your pants off, Neubau has some good options. Es Gibt Reis has good food and drinks, Cafe Espresso gets boozy after dark, and Café Prosecco-Bar Piccaro serves Prosecco on tap! If you want to dance in Neubau, Dual is good for electronic music. Mariahilf – For clubs, check out Elektro Gönner and Celeste. For cocktails, try Barfly’s Club, Miranda Bar and If Dogs Run Free. Leopoldstadt – Leopoldstadt is home to Pratersauna and fluc + fluc_wanne for clubs. Also, hit up the Danube Canal beach bars when the weather is warm. Where to Stay in Vienna with Kids? InnereStadt, MuseumsQuartier, Neubau & Landstrasse: The InnereStadt, MuseumsQuartier, Neubau and Landstrasse are the beast areas to stay in Vienna for families. InnereStadt – The Vienna Old Town is a great location for families traveling with kids. It’s super central, walkable, and full of attractions – that means it will be easier to get back to your hotel for nap times. If you only have a few days in Vienna with kids, sticking to the InnereStadt, with some trips to the MuseumsQuartier and the various palaces, will ensure you have a great and stress-free intro to the city! Note, some of Vienna’s cobblestones can be tough on strollers – something to consider if you plan on travelling with a cheapie umbrella stroller. We personally use the Bugaboo Bee in Europe, and love it. It’s very lightweight, relatively easy to carry up and down stairs, and is small enough to fit in restaurants and on public transit. We’ve also heard great things about the Baby Zen Yo-Yo. MuseumsQuartier and Neubau – The Vienna Children’s Museum is in the MuseumsQuartier, so if hitting up this museum is on your list, then staying nearby makes sense. In Neubau, you’re likely to find yourself among young families – artsy types in their 30s with young kids. This area has plenty of hotels, but you should be able to find some holiday apartments as well, if you’d prefer a separate sleeping area to get the kids down at bedtime. Hotels in Vienna vary in terms of what kind of amenities they offer for families with kids. We have a baby, and travel with a Phil & Teds Traveller Crib (it’s only 6 pounds!) and the Phil & Teds Lobster High Chair. Other benefits of staying in the MuseumsQuartier and Neubau area include its super central location, access to public transit, and pedestrianized area in the MQ that younger kids can run around in. Landstrasse – Landstrasse has a family-friendly vibe, and you may find yourself blending in as a local if you choose to stay here. A residential area, there are plenty of Viennese families who call Landstrasse home, so you won’t feel out of place. Landstrasse is also going to be a bit cheaper than InnereStadt, MQ and Neubau – a bonus if you’re on a budget. Where to stay in Vienna on a Budget? Probably the best district to stay in Vienna on a budget is the Third District (Landstrasse), which offers a good mix of convenience and value. Margareten, Ottakring and Rudolfsheim-Fünfhaus are also great options. Certainly, you’ll have to walk or take public transit more than if you were in Vienna One, but you’ll also be able to find more budget-friendly accommodation options. For example, depending on your dates, I found Austria Trend Hotel Doppio Wien for as cheap as US $68 (mid-week in off-season), along with some other highly-rated 4-stars in the same price range (Check out Eurostars Embassy). You can also search Booking.com by district by using the “refine results” options on the left-hand menu. (This link should take you directly to Vienna 3 hotel search results). Of course, the closer you stay to the most central and desirable neighborhoods, the more you’re going to pay. In Vienna, you can count on the First District/Innere Stadt being the most expensive address in the city, with prices decreasing the further out you go. If being central is important, you can do pretty well at Pension Dr. Geissler, with rates starting around €65.00 per night (depending on your dates, of course!). Hotel Kaffeemühle is another option to look at, located in Vienna 7 (Neubau). Finally, you can also filter Booking.com search results by price per night, such as $0 to $52 per night, which yielded 45 properties when I searched. What I would suggest doing is first filter by price, then arrange the results by average review, so you get the best-of-the-best properties to choose from within your price range! Use this link to find budget hotels in Vienna, arranged by reviews. What Are the Best Budget Hotels in Vienna? Schönbrunn Palace Evening: Palace Tour, Dinner and Concert is one of the more popular tours in Vienna so book early. This is the quintessential Vienna experience beginning with a self-guided audio tour followed by a three-course meal. 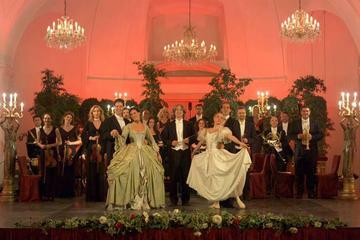 The evening culminates with a classical music performance by the Schönbrunn Palace Orchestra. Vienna City Walking Tour will give you a great overview of Vienna’s rich history. Learn about St Stephen’s Cathedral and it’s gothic architecture, the Hofburg Imperial Palace and much more. A 2.5 hour tour like this is a great introduction to the city covering history from the time of the Romans, through the wars and up until modern times. 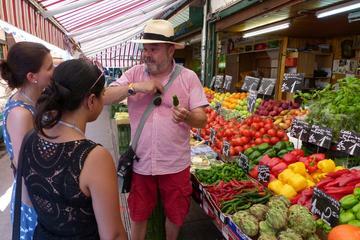 Small-Group Naschmarkt Food Walking Tour in Vienna is a 2 hour guided tour through the stalls of Vienna’s Naschmarkt where you will sample the fresh fruit and other delicious delicacies that make up Viennese cuisine. Smell oriental spices and meats and learn about the history of the market from your knowledgeable guide. Think it will be the inner zone for me as I really want to see the famous sights and architecture on this trip. Very informative and very very helpful blog.